We received 2 headphones from Kidz Gear. We received a wireless set and a wired set. They also came with storage bags and the wireless comes with a wireless transmitter so you can also use them at home with the T.V. or stereo. I thought it was a very nice package they sent me. This was a great test to go along with Avery's new portable DVD player. We haven't used these in the car yet, but sometimes instead of the T.V. on I like Avery to watch her portable player. So first we tried the wireless headphones. She did great, kept them on and she could hear the whole movie. Halfway through we switched to the wireless, She liked these even more because she could get up and use the potty and walk through the house, but still hear her movie. Avery was very happy with these and I'm sure I will be too when we take our next big trip. Like down to Ohio or up to Grammy's house! Price: Wireless are $30 on sale and the wired are $17 on sale. Great prices. It's worth the quietness. Overall: ***** happy with them! I learned that they are designed with custom sized ear-cups. Very interesting, I learned that the cups can be adjusted to fit the child. So excited about the fact that they make ear cups can be customized for the child! I learned that the wireless headphones are 100% Guaranteed to work with all built-in car DVD/sound systems. I would LOVE to win these for my kids!! From the makers of the #1 Selling Headphones For Kids - Kidz Gear - comes the latest in wireless stereo headphones. I learned that they have grown up performance but built for kids. I learned they are built durably for kids. I learned they make ear cups that can be customized for your child. I learned that they work with all car sound systems. They are compatible with all US built DVD systems. I learned that 100% quality guaranteed. I learned that "The IR68KG02 Wireless Car Headphones For Kids come with a 100% Compatibility Guarantee for use with all U.S. built-in DVD/Video systems." The Kidz Gear Wired Headphones deliver extremely rich stereo sound quality for audio needs - DVDs, MP3s, Game Players, Television, Radio . I learned that their products have adult features,performance and quality levels-but available at a price-point in- line with products for children! I learned that they come with a 100% Compatibility Guarantee for use with all U.S. built-in DVD/Video systems. 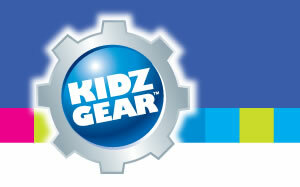 KidzGear is a partner of Comfy Kids. Public blog follower as jennem. I learned that the headphones are 100% Guaranteed to work with all built-in car DVD/sound systems. Your button's on my sidebar. Their ear cups that can be customized for your child. I learned that the wireless headphones are 100% Guaranteed to work with all built-in car DVD/sound systems, thanks! I learned that the cups can be adjusted for different kids! I learned that Kidzgear Headphones are manufactured with the same high quality components as those used in adult headphones. I am following via Networked Blogs. I am subscribed via email as jweezie43[at]gmail[dot]com #2. I am subscribed via email as jweezie43[at]gmail[dot]com #3. I learned that the Kidzgear Headphones are manufactured with the same high quality components as those used in adult headphones. Cool, cuz my son is hard on headphones! I learned that they sell a splitter also! I have wanted one of those many times on car trips!! I discovered they come with a 100% compatibility guarantee. I learned they are 100% compatibility to work with all built in dvd/video systems. I learned that you can control the volume which is something that I really need. I learned that they are made with custom sized ear cups especially for kid sized ears. My kids could definitely use these. I learned they are 100% Guaranteed to work with all built-in car DVD/sound systems. I learned that the ear pads can be customized to fit your child! I like the carry bag. I learned Kidz Gear is about delivering a line of products and accessories with adult product features, performance and quality levels, but available at a price-point in-line with products for children. I learned that they are high quality, fully functional and ergonomically designed products that are value-priced and in the sizes and styles kids will love.